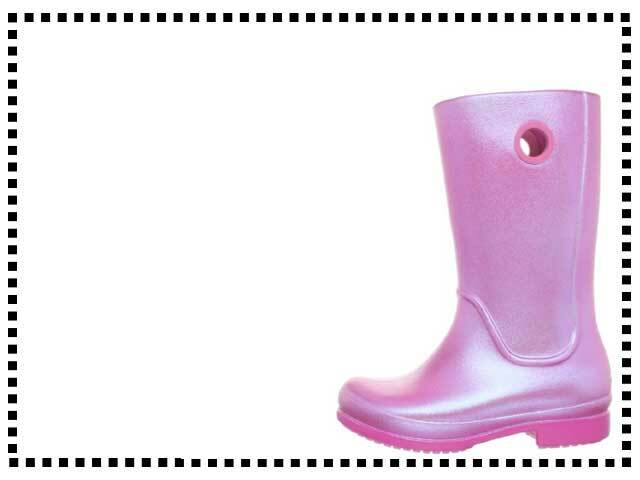 If your kids are going out in the rain brighten up their day with these super sparkling rain boots. Made from Crocs Croslite material for ultimate comfort and flexibility. Bought these boots for my daughter. She loves the pink sparkly color. They are vary soft and seem to be high quality. My granddaughter got these for Christmas. She loves them. They are very cute. Lovely boots. I got the blue boots for my son. He loves them. Great boots. Very pretty and they look good quality. Disappointing that they didn’t have the holes like in the picture though. My daughter got the pink ones. She looks so cute in them. Rain boots for toddlers/kids. Available in pink and blue shimmering effect Croslite material.